Oakley today announced the upcoming debut of its innovative new 3D eyewear. A special edition will celebrate the release of TRON: Legacy, a much-anticipated Disney 3D film opening in U.S. theaters on December 17th, 2010. Rendered with signature Oakley style, the new “TRON” Limited Edition 3D Gascan is accented with graphics that salute the cinematic story. A custom Microclear™ bag will be included for lens cleaning and eyewear storage. In the spirit of making this eyewear edition a collectible, the Microclear bag is also highlighted with graphics inspired by the film. To engineer Oakley 3D eyewear, Oakley combined its industry-leading frame innovations with lens technologies that maximize the 3D experience by offering unprecedented levels of clarity and visual fidelity. 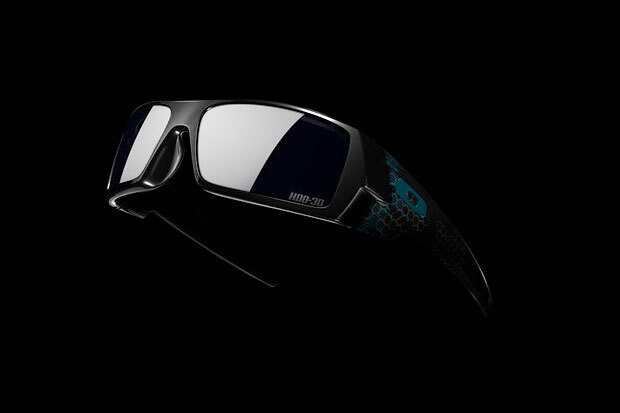 The “TRON” Limited Edition 3D Gascan will be available next month through select Sunglass Hut and Oakley stores, and via Oakley.com.